…and that’s how Obama trumps Trump. …and that’s why the iPhone 4 tracks your every move. Thank you, Apple! …and that’s how the USA trumps a royal wedding. is amazed at what people can achieve when the PlayStation network is down. 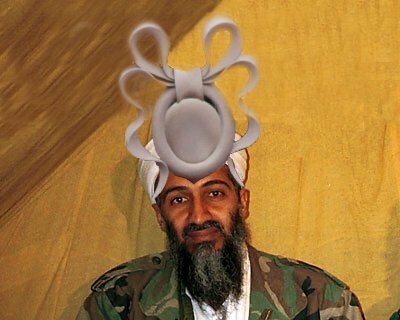 Osama’s dead. Next target: Banksy? Osama Bin Laden – Hide & Seek World Champion (2001 – 2011). New challengers now accepted. Pics or it didn’t happen, Obama! Posted by Pieter on May 2, 2011 at 5:43 PM. Use this trackback if you're linking this story.